Vintage 1970s Miss Zadig by Emilio Pucci 1 oz Eau Fraiche Natural Spray with Box. Just removed from sealed cellophane to take these photos. The bottle is about 70% full of the perfume, the missing alcohol and water has evaporated from time and storage. The spray mechanism is not working so I couldn't get it to spray, it might just be clogged from evaporating perfume, but I removed the cap and depressed the siphon tube and turned the bottle upside down and perfume came out so I was able to test the perfume. The perfume is old and no longer fresh, but I just tested some on my arm and it is still wearable. 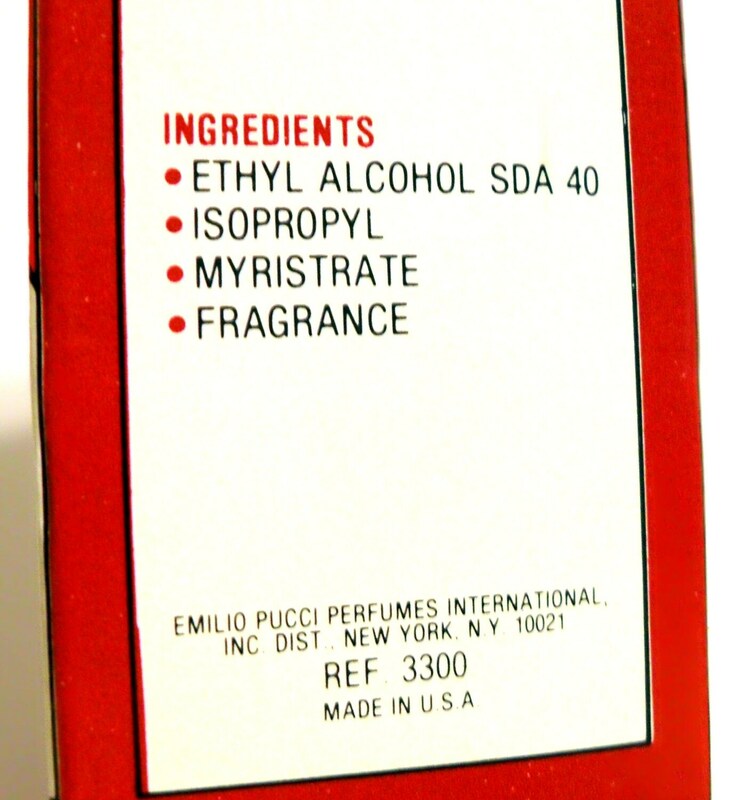 This is the original 1970s formula and the box is marked "Emilio Pucci Perfumes International". This is not the later version manufactured by Classic Fragrances, Ltd. in the 1980s. Launched in 1977, a fresher interpretation of it's big sister, Miss Zadig which was classified as a floral oriental fragrance for women. 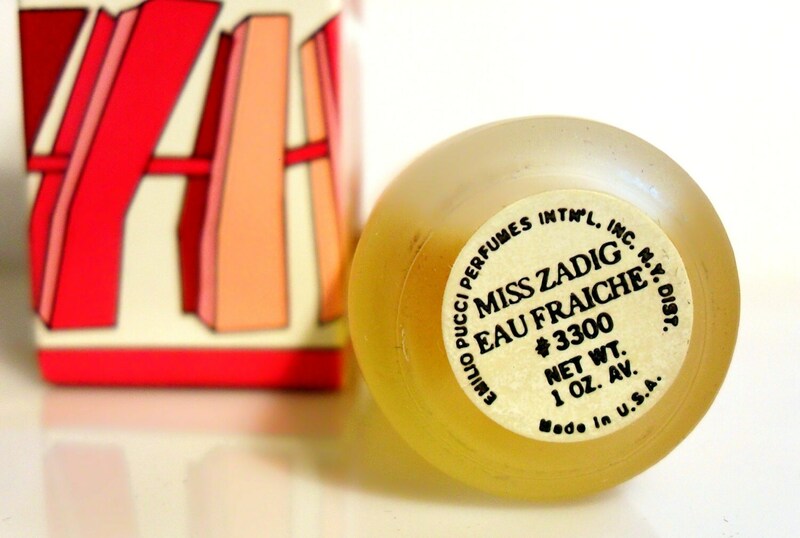 I do not have any notes on Miss Zadig or the Eau Fraiche versions, but both were intended to be worn by younger women and has a fresh, lively scent. I would assume that the notes may have included aldehydes, bergamot, orange, carnation, rose, jasmine, ylang ylang, magnolia, oakmoss, amber, vetiver, sandalwood, plus additional floral and citrus notes like lily of the valley and possibly lemon. I detect the following notes in the perfume: aldehydes, rose, ylang ylang, patchouli, oakmoss, musk, jasmine, peach, bergamot, amber, sandalwood. The scent starts off with a powdery citrus facet, followed by a soft floral heart, resting on a musky mossy base. This has been discontinued since the 1980s and can be quite hard to find.